Need Car Insurance Coverage After A DUI? We Can Help! Do you need auto insurance after a DUI? People make mistakes. Even good people and good drivers get charged with a DUI. While we certainly don’t condone driving under the influence, we understand that even people who have been charged with impaired driving in Ontario need help getting and understanding their car insurance after a DUI. You are not a bad person; you just made a bad mistake. We can help you on your road to recovery and help you get DUI insurance coverage so you can get back on the road. The following provides you with common questions and answers about impaired driving in Ontario, how to get DUI insurance, and how to get the cheapest DUI auto insurance. A DUI – Driving Under the Influence, or Impaired Driving – is the operation of a vehicle while under the influence of drugs or alcohol. This includes cars, trucks, boats, and off road vehicles. Zero BAC : Novice drivers and those 21 and under must have a zero BAC (Blood Alcohol Concentration) when driving. Warning / Road Side Suspension For BAC Between .05 - .08 : Drivers who are caught driving with a BAC between .05 and .08 fall in the Warn Range. DUI Charge If BAC Over .08 : You will be charged for DUI if you are caught driving with a BAC over .08. Being fined and even face jail time. Having an ignition interlock device installed in your vehicle. Being cancelled by your insurer and having trouble getting car insurance. What happens after you’ve been charged with a DUI will largely depend on your insurance company. One thing is for sure – at the minimum, you can expect an insurance rate increase – and likely a significant increase. Keep in mind that if you do not inform your insurance company of your impaired driving charge, you risk not being covered if you get into an accident, and your insurance policy will likely be cancelled. The good news is that, even though you may have been labelled a high risk driver because of an impaired driving charge, you still have insurance options, even if you’ve been cancelled by your current insurance provider. While cheap DUI insurance doesn’t really exist, when you work with a broker like us, that specializes in DUI insurance, we can help you get the lowest rates possible, considering your current driving record. How To Get Car Insurance After A DUI? Whether your rates have gone up or you’ve had your insurance cancelled by your insurance company, getting DUI insurance is a similar approach to getting insurance in other situations. However, it’s important to work with an insurance broker that specializes in high risk auto insurance in Ontario – ensuring you have options and can get the best rates for your situation. Getting insurance coverage for drivers with a DUI conviction is our specialty. We work all the Ontario insurance companies who provide insurance for drivers with a DUI. Our experts will shop and compare the best quotes to get you coverage at the cheapest rates. Call us to speak with a DUI car insurance expert to save more! Your insurance rates in Ontario will go up after an impaired charge – to what extent will depend on your driving history, severity of the offense, insurance company and other factors. Average DUI insurance rates are more than standard insurance. In many cases, you can expect it to be three to five times higher than the rates for a driver with a clean record. You can expect your rates to at least double. This is in addition to the fines you will be required to pay if you are convicted. First time convictions start with a fine of $1000. “In Ontario, a typical impaired conviction will move your insurance premiums from around $2,000 to between $8,500 and $10,000 a year – that’s a lot of money,” says MADD CEO Andrew Murie to the Globe and Mail. An impaired charge makes you a risky driver. You are 30 to 40% more likely to be involved in a car accident and, according to MADD Canada, 30% of drivers with a DUI get another one within 10 years. So, how long does it take for a DUI to come off your record in Ontario? Many insurance companies will remove your DUI charge from your insurance record after 3 years, while for others it could take up to 6 years. It depends on the insurer. It will also be removed from your driver abstract after 3 years. When the DUI is removed, you can expect your rates to drop back down to a more “normal” level. Keep in mind that your DUI will remain on your criminal record. Insurance for DUI offenders can be a challenge. It’s expensive, can be difficult to get a policy, and it will take some time to overcome the situation. Even though it may be difficult, it’s important to start making the steps to transition back to regular car insurance, especially as you approach the three year mark after your conviction. Work with an insurance broker that specialized in Ontario DUI insurance. Maintain your status as an insured driver. Compare DUI insurance quotes to explore your options and get the cheapest car insurance for DUI offenders. Drive safely and keep a clean driving record. Attend all recommended education and treatment programs. Getting the cheapest DUI auto insurance coverage starts by working with an insurance broker in Ontario that specializes in this form of coverage. If you’ve been charged with impaired driving, ThinkInsure can help you get car insurance after a DUI. 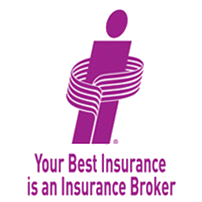 Compare DUI Insurance quotes online or call a broker to compare DUI quotes 1-855-550-5515.